Giant video walls are becoming a fixture on TV news sets around the globe — and a British show used its to catch a politician in a lie. 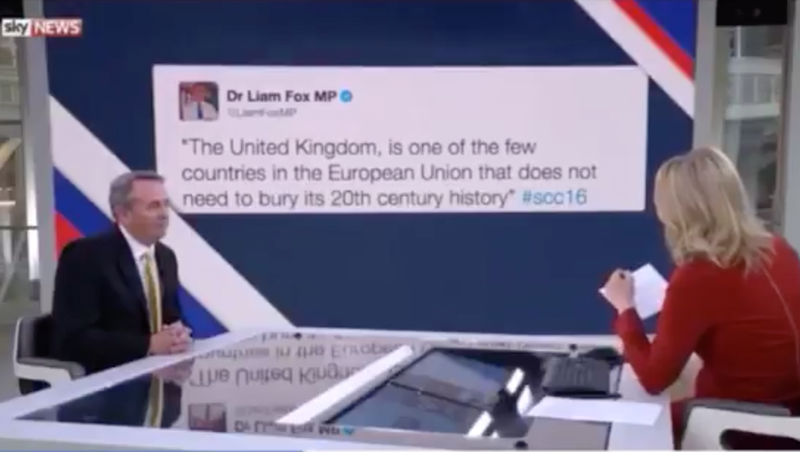 Sophy Ridge, host of Sky News‘ “Sophy Ridge On Sunday” was interviewing U.K. international trade secretary Liam Fox and brought up a controversial tweet he sent. When Fox denied sending the missive, Ridge gestured to it on the wall — though Fox didn’t seem to notice. The whole time the tweet remained on the video wall on the network’s “glass box studio” behind him.